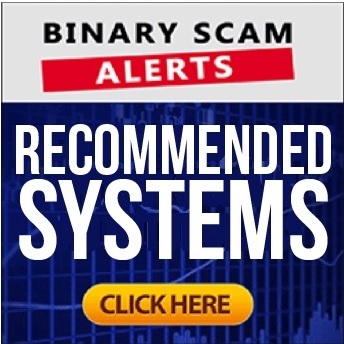 Binary Scam Alerts » Scam Reviews » Binbot Pro Review, SCAM or Binbot Cash App? The Binbot Pro (AKA Bin Bot Pro) software and trading robot (not to be confused with Binabot) has recently launched and our members asked us to publish an impartial review and SCAM investigation in regards to this app. We noticed there is much hype around this new auto-trader, and wanted to preempt complaints about the software and certain brokers which are associated with app. So, in a sudden turn of events we decided to rise to the challenge and see if this new system is truly a genuine, legit, and trustworthy automated trading solution. First, we always use a hefty dose of caution. We are examining a system where only 2 brokers are available, but this is not necessarily a bad thing since we perceive these specific brokers to be trustworthy. Secondly, we checked to see if there were complaints about SPAM emails arriving from unverified (and possibly spoofed) email addresses, and there were none. We know an affiliate network has decided to endorse this offer, and we have now ascertained that these online promoters are ethical and not just greedy jackals out to scam and bleed you dry in order to get their commissions. At first glance, we did notice some business practices which could be construed as aggressive and possibly unsavory. This indicated to us we are dealing with experienced marketers who are extremely savvy, but this does not necessarily mean they are crooks. In fact, we have taken a closer look and our conclusions are very surprising. We will conduct a separate investigation as to who is behind the Binbot Pro offer, and make this information readily available to our readers. Keep reading to see our findings and recommendations in our exposing review. Critical Update: We are currently advising our members to seek Alternative trading avenues as we have come to the conclusion that Binbot Pro does not deliver results as we expected. There are a variety of apps which perform much better, so why settle for something which is mediocre at best. Latest Review: What is Binbot Pro and How is it Different? Binbot Pro is an automated trading solution AKA “robot” designed to execute trades on auto-pilot without any form of human intervention. It differs in a variety of ways, namely it offers built in strategies such as “Rising East V1.2”, and “Bolly Band Bounce”. We have already seen similar features implemented in other systems and in many cases they don’t necessarily work. It’s worth noting that this system is HTTPS secure, which is a definite plus when it comes to trading in a safe environment where your details are encrypted. We do like the fact that they are actually offering binary options and this is not another get-rich-quick scheme promising you massive amounts of money at the click of a mouse. We are skeptics by nature and as promising as this may seem we have been disappointed before by similar products and the seemingly polished and clean look may in reality serve as the proverbial fig leaf in order to conceal a more sinister, cash-stealing app. But this is is a totally different story, and we are officially endorsing this system! Binbot pro employs Neuron Scanner v3.0 technology which is minimalist buy quite simple to grasp. As mentioned previously, this software has a set of built in trading strategies we have not seen before. The chat feature is operational, however the staff seems to be focused initially on “light” questions on how to get started and basic depositing queries. When if comes to asking the difficult questions about withdrawals we kind of hit a brick wall, but we were told that since they have to prioritize staff and respond to existing traders who already invested. We didn’t like that but at least it was an honest answer and phrased in a logical and respectful manner and we found that to be refreshing. Eventually they found the time to contact us and explain everything which was very refreshing and totally unexpected. So when it comes to these types of systems the complaints are usually divided into three types or categories. The first and most predominant complaint has to do with not knowing what strategy to choose. So in essence the perceived benefit has just turned into a risk, and when money is lost that is the first issue which is raised. The second most common problem has to do with broker selection, and this is a serious issue because the assortment of brokers offered here is not only limited but also questionable (for the lack of a better word) when it comes to the regulatory and ethical aspects involved. Additionally, we found the trading assets to be somewhat limited and confined primarily to currencies. If for example, you are interested in indices, or stocks you will have a difficult time finding those. When we asked about this we were advised more assets will be added and to our surprise they we correct and there are more assets to trade now. Again, a limited asset selection doesn’t necessarily mean the system is a financial SCAM, but it does resonate a lack of professionalism we have grown to expect from an industry which has matured and become more educated and finicky. Fortunately this was handled very professionally so they cleared that hurdle as far as we are concerned. Another thing we looked for and didn’t find is a proper FAQ section at first glance. This means the people who did this have overlooked an important service-oriented aspect of their offering and we view it as a kind of oversight since an updated FAQ section is an industry standard and also solves problems very quickly. We found this lack of information to be a bit amateurish, however the fast response times compensated for this so we got our answers quickly and that’s reassuring. Contrarily, we did notice the offering is available in many languages such as Russian, German, and Arabic. This is something we regard to be unique and not offered by the vast majority of systems being offered these days. We did notice unverified certifications such as “The Best Binary Robot 2016” and “Tech Finance Journal Award”. Considering all the fake testimonials, hyped up and exaggerated claims, inflated bank account statements, and outrageous lies and fabrications we see today, we view this form of hype as “extremely light” and are willing to look beyond it if the actual system being offered provides accurate signals and performs with an ITM win ratio of at least 80% or over – and it does! Anything less and you are losing money in binary options, especially if you accept bonuses or any types of comps from the broker. Well, no one said its free and it will cost you $250 to get started. That money will be charged to your credit card by Finpari, BinaryMate, or any other supported broker which was recently added. We have not done a background check on these two brokers, but we know they accept Visa and MasterCard, as well as other alternative payment methods such as E-wallets or prepaid credit cards which can also be used to fund your trading account in a safe way. Again, we are not saying these two brokers should be blacklisted, and we have actually found them to be professional when interacting with them. We have had recurring complaints in regards to Dubai Lifestyle App, and Quantum Code by Michael Crawford. Please refrain from using any of these systems. We are witnessing a growth in fake reviews which are being initiated by so-called “ethical” review sites. These site owners are acting as de facto affiliates and receiving bribes in the form of commissions to write favorable reviews. If you are a skeptic, contact us to consult and we shall be more than happy to assist. If you already have a Binbot Pro account and would like feedback about additional systems which may also be suitable for you, please message us by leaving a message below, or simply refer to our recommended section. In all honesty most systems are filthy scams out to get your money, however there are a few trustworthy apps which we have chosen to endorse after conducting the proper research. These apps have all passed our rigorous credibility tests and are proudly showcased in our recommended section. This software is RECOMMENDED and definitely worth trying out. The Binbot Pro (AKA Bin Bot Pro) software and trading robot answered to our criteria and passed our credibility tests. It should not be BLACKLISTED because it is NOT a SCAM app, and after intense testing we have found their signals to be accurate at around 84% ITM (success ratio). We have received a few minor grievances of what we consider to be “low level” complaints, however overall the software seems to be operational, fully functional, and performing above industry standards so we are endorsing it. Today, we have formally ascertained that it is a legit and genuine piece of technology but this is an ongoing investigation and as time progresses we will have an even better understanding of how this system performs and if it continues to live up to our expectations. To reiterate, we did try this system out ourselves and found the software to be very intuitive, highly functional, easy to use, and very accurate when it comes to performance and results. When we asked the staff they told us this is normal and the trend will not change or abate as time progresses but we will update you on this as well if we start losing money. We have also checked the affiliate marketers who are promoting this software, and now understand their intentions are well-placed and they are not con-artists. We are not impressed by false or hyped up claims meant to promote get-rich-quick schemes, and always keep looking for authentic reviews and information pertaining to this latest system. We have also contacted the people who are offering this system, and they have provided us with all the information we wanted and seem to be very straight forward, which is also a something we examine when investigating a new system. So, on the overall our impression is that this systems is totally in line with our expectations. The staff is highly professional and is happy to assist, so we would highly recommend them but reserve the right to change or amend our review in regard to the Binbot Pro at any time. Don’t forget to join our Facebook Page and YouTube channel.